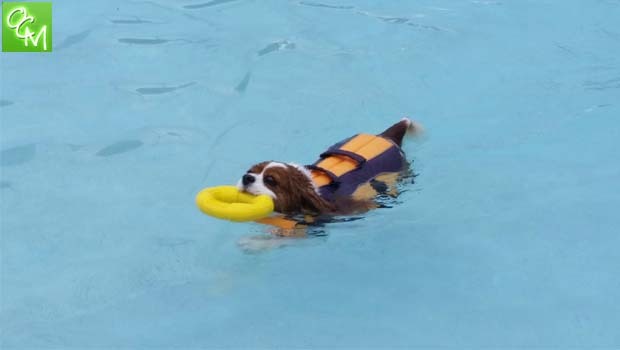 Dogs Only Swims Oakland County – Waterpark and spraypark dogs only swim events close out the summer season at local Metro Detroit pools and aquatic centers. 45 minute dogs only swim. Dogs must be 6 mos old with current dog license. $12 for residents, $15 for non-residents. Tags must be worn the day of event. Aggressive dogs will not be allowed or will be asked to leave w/out refund. Dogs under 40 lbs from 10a-10:45a, 41-65 lbs from 11a-11:45a, 66 lbs plus from noon 12:45p. Raindate is September 8. All dogs owners must show valid Michigan dog license and proof of current vaccinations at the time of the event. Dogs swim by weight category. 4 Swims. Noon-12:50p – 70lbs plus, 1p-1:50p – 31lbs-69lbs, 2p-2:50p – 30lbs and under, 3p-3:50p – 70lbs plus, 4p-4:50p – 31lbs-69lbs. Contests include Best Wet Look & Best Swimsuit. For more info and to register, call 248-858-5267. This Dogs Only Swims page is intended to be used as a guide. Oakland County Moms does not endorse these events. Oakland County Moms is not responsible for changes to event descriptions, event times or details being altered without notice or cancellations. More Dogs Only Swims Oakland County coming soon!